When it comes to unheated or coldwater aquariums, most aquarists only think of goldfish setups. However, there are actually many options for low-tech tanks that don’t even require a heater. Popular dwarf shrimp like cherry shrimp can actually be kept in unheated aquariums, and the same goes for some popular fish species like White Cloud Mountain Minnows. Plenty of choices when it comes to stocking, but are there also plants that can withstand lower temperatures? Of course! Keep reading for a list of plants that are easy to grow and can be kept in unheated aquariums. Note: A more extensive list of fish and invertebrates for coldwater aquariums can be found here. The algae that form the popular Marimo ball naturally occur in cooler areas like Iceland, which means they are perfect for unheated and coldwater aquariums. They actually prefer colder water! Marimo balls are very undemanding; they can be kept by themselves in a vase or bowl, but will also do well in regular aquariums. Just don’t house your Marimo balls with destructive ‘tankmates’ like goldfish or bigger crayfish species, as these will have no problem with destroying or eating them. For more info on Marimo balls, check out the Marimo caresheet. You can buy Marimo balls online here. Java moss (pictured at the top) is popular mostly because it’s so easy to grow in the aquarium, but what a lot of aquarists aren’t aware of is that it’s also a great choice for subtropical and coldwater setups. In fact, it can be kept in temperatures anywhere between 15-30 °C/59-86 °F. It’s especially appreciated by smaller fish and (dwarf) shrimp, which will use it for cover. Because food particles often get stuck in the moss, it also makes excellent foraging ground for shrimp. Java moss is mentioned in the Aquariadise article on the 8 easiest aquarium plants, and with good reason! It doesn’t need extra Co2, fertilizer and special lighting and can be left free-floating or tied to driftwood, rock and shrimp caves. Just trim it once in a while to prevent the middle parts from turning brown and it will thrive. You can buy Java moss online. You can find more information about growing aquarium moss on Aquariadise here. Another very easy and fast growing subtropical plant is Cabomba. This background plant, which grows upwards in straight branches, is actually known as an invasive species in many countries due to how quickly it grows. As long as you take care not to release it into native waterways, this rapid growth is actually a big advantage. If provided with enough light and a temperature of at least around 18 °C/64 °F, Cabomba will cover the background of your aquarium in no time and help absorb nitrates. If preferred, it can also be left free floating or even used in (fancy) goldfish setups, as goldfish love to eat it and it can make a great occasional addition to their diet. And if you’re looking for that one touch of color in your unheated setup – yes, it also comes in red. You can buy Cabomba online. Water cabbage is a small foreground plant that naturally occurs in marshes but also grows submerged. It’s currently not very popular in the aquarium hobby, which is a shame! I accidentally bought water cabbage a few years ago and it has been one of my favorite aquarium plants since. The name is derived from the shape it grows in: small rosettes that closely resemble cabbage or lettuce. Although water cabbage is a very slow grower, it’s a great addition to unheated setups because it does well in temperatures as low as 15 °C/59 °F. I keep mine in a small tank with cherry shrimp and dwarf crayfish, which works very well. Just be sure to provide your water cabbage with enough light, or it may start growing upwards and lose its cabbage-like shape. This very fast grower is a must have for low-tech unheated aquarium setups. It’s a very forgiving beginner plant which will grow very quickly in almost all types of aquariums. Extra lighting or Co2 is not needed; it’s not even necessary to plant Brazilian pennywort in the substrate. Many fishkeepers report it growing even better when left free-floating. Like Java moss, Brazilian pennywort can grow quite dense, which makes it a great plant for providing cover for young fry and shrimp. Although it’s not suitable for actual coldwater aquariums, it should do very well in water of at least 18 °C/64 °F. This means it works for most unheated or subtropical tanks. You can buy Brazilian pennywort online! You can find a full caresheet for Brazilian pennywort here. Although it can be a pretty slow grower, Java fern is one of the most undemanding aquarium plants in the hobby and a great choice for unheated and low-tech setups. As long as it’s not planted in the substrate but tied to drifwood or rock (check out this tutorial if you’re not sure how to do this), it’s pretty much indestructible. 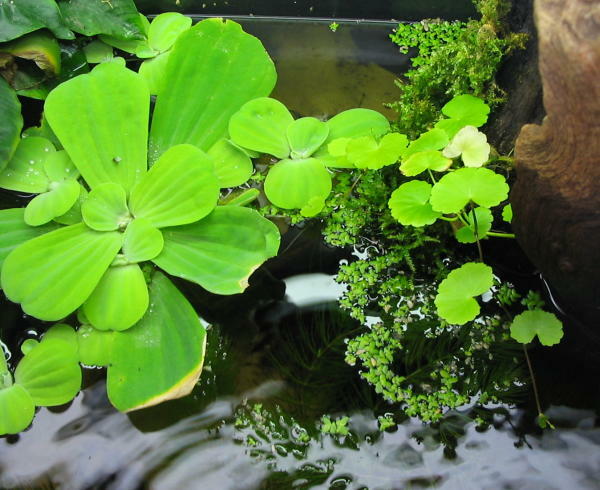 It thrives in almost all types of aquariums and even the most ravenous herbivores will leave it alone because the leaves are hard and bitter. This makes Java fern one of the only plants suitable for a (fancy) goldfish setup. Initial growth may be slow, but once it does take off it will grow into a beautiful green fan in no time. Keep an eye out for small, free floating bits of Java fern; these can be replanted and will turn into a new plant. For more information about Java fern, have a look at the full Java fern caresheet! You can buy Java fern online. If you have any more questions or suggestions about coldwater plants, leave a comment below. 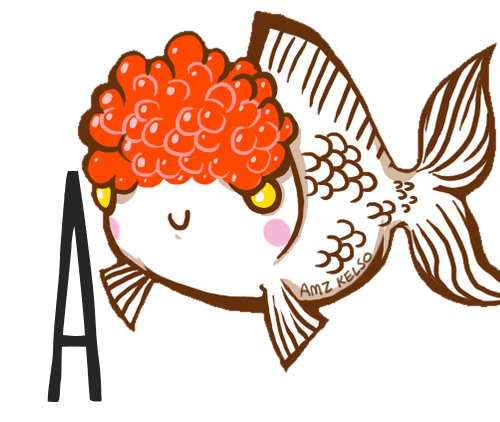 Happy fishkeeping! I have vallisneria in my Goldfish tank. Most varieties can grow as low as 15 degrees C. It doesn’t require CO2 and it can grow in medium to low lighting (will grow slowly in low light) but requires a nutritious substrate to thrive. When I planted mine I didn’t use any special substrate but my goldfish’s gravel is full of mulm and poop and the vals are spreading – sending out runners with mini baby vals on them to colonise the tank. If you have a nice build up of mulm and don’t want to set up a proper planted substrate try these plants! I didn’t know vals did well in such low temperatures, thanks for the tip! That’s definitely also one to try for unheated tanks then.